Buzzzzz. Whiiiiiine. Zzzzzzzzpt. Beep. Beep. Bi-bi-bi-bi-biiiiiip. On an inexpensive, low-end motherboard utilizing an ALC892 audio system, these are the analog sounds heard through headphones when moving the mouse. Dragging windows. Selecting portions of an image in GIMP. Moving the mouse cursor. Every time the wired USB mouse moves, electronic interference is heard in the form of annoying beeps and buzzes. Would a dedicated sound card improve the existing motherboard audio? 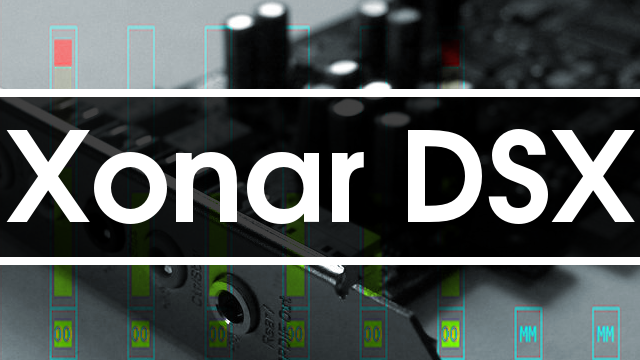 I was immensely impressed with the superior audio quality of the Asus Xonar DX sound card, so I thought I would try a lower-priced version: the Asus Xonar DSX sound card. Here are my results with Linux Mint 18. Linux supports USB 3.1 in the kernel. Why not show Linux some love and give it the hardware to use? ‘Tis a pity, but USB 3.0 is slow. Well, slow compared to SATA 6Gbps and the blazing fast M.2 NVMe. USB 3.0 tops out at ~440 MBps for external SSDs while SATA maxes out at ~540 MBps…depending upon the quality of the SSD. That is what USB 3.1 is for. The best part is that the prices have fallen, and you do not have to wait for future USB 3.1 motherboards. If you are running Linux, then you can add USB 3.1 to your existing system now. Even if your motherboard is an older model that only supports USB 3.0 and PCI Express 2.0, you can install inexpensive PCIe USB 3.1 cards to provide the faster ports and reap the benefits. This article looks at the QICENT Dual-port USB 3.1 PCIe card and tests its performance on two different motherboards with PCIe 3.0 and PCIe 2.0. Do you have a few spare network interface cards? Want to increase your local network throughput and handle more traffic? Link aggregation, or bonding, is a technique that combines two or more network interface cards (NICs) into a single virtual network interface for greater throughput. For example, two gigabit NICs result in 2 Gbps throughput. Three gigabit NICs allow 3 Gbps throughput. Four allow 4 Gbps, and so on. While these are theoretical maximum values and other factors affect network transfer rates, the point is that multiple network cards acting as a single “card” can transfer more data at a time. As an example, more users can access the same server simultaneously without seeing any noticeable drop in transfer speeds. Linux supports link aggregation out of the box with only a few modifications. Regular, inexpensive network cards and switches can be used, so there is no need to purchase expensive, specialized hardware. This allows you to reuse existing hardware that you might already have on hand. And yes, it works well. While link aggregation has worked in the past, newer Linux distributions tend to change a few things, so older setup techniques need revision. This is the case with Linux Mint 18.1. For details regarding the benefits of link aggregation, please have a look at the article describing link aggregation in Linux Mint 17 and Xubuntu 14.04 (July 12, 2014). The information is still relevant. Link aggregation works well in Linux Mint 18.1, but a few changes are needed in order to make it work. However, it is easier than expected!